This beautiful home sits on 12.5 private acres! The layout is perfect for in-laws w/the 2nd floor having its own updated kitchen, eat in area & living rm and updated bath. The main level has a living rm w/corner fireplace and windows all around. The kitchen is has ceramic tile corona counters and adjoins the dining room. Off the dining room is a large sunroom with access to all the decking. Port Dickinson Elementary School Pre-School, Elementary School / Public N/A 1.52 mi. Chenango Bridge Elementary School Elementary School / Public 5 2.41 mi. Chenango Valley Middle School Middle School / Public 7 2 mi. Chenango Valley High School High School / Public 7 2 mi. Children's Home Of Wyoming Conference * Elementary School, Middle School, High School / Private N/A 1.52 mi. East Middle School * Middle School / Public 2 1.81 mi. 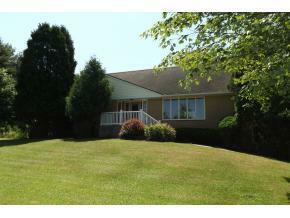 340 Old State Road, Binghamton, NY 13904 is a 3 bedroom, 3 bath single family home was sold for $227,660.